Jakarta, Indonesia: A pair of suicide bombers struck a bus station Wednesday in the Indonesian capital of Jakarta, police said. 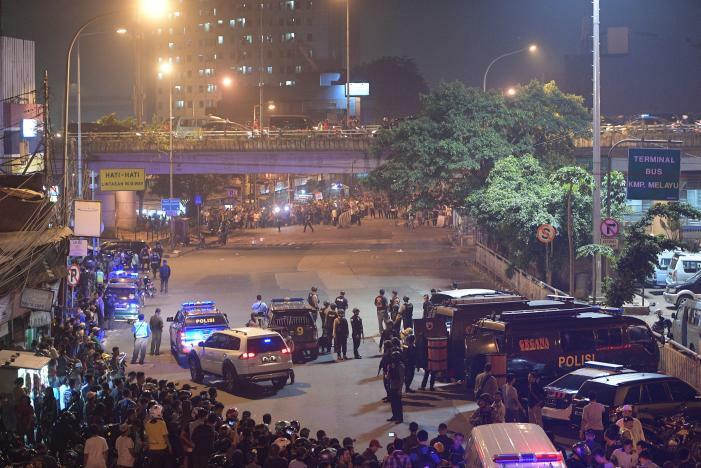 At least three officers were killed, 10 wounded in Jakarta, national police spokesman Setyo Wasisto told reporters. Five other officers and five civilians were wounded. It’s not clear who carried out the attack. National police spokesman Setyo Wasisto said five police officers and five civilians had also been injured in the attack. “Do not be afraid, do not get scared, because if you get scared it means terrorists have succeeded,” Mr Setyo said. In the past, Eight people were killed – including four militants – in a terror attack on January 14, 2016 in front of the Sarinah department store in central Jakarta.